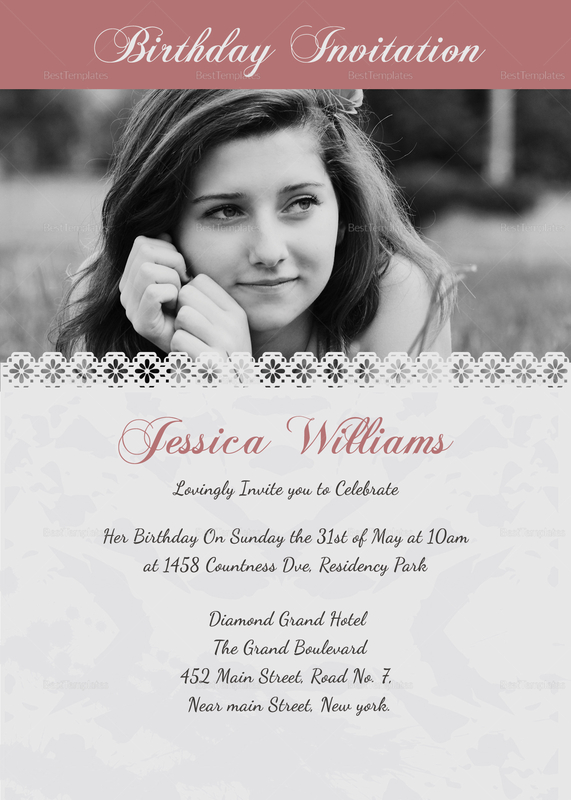 Use this simple but elegant Birthday Invitation Card Template for your next birthday party. 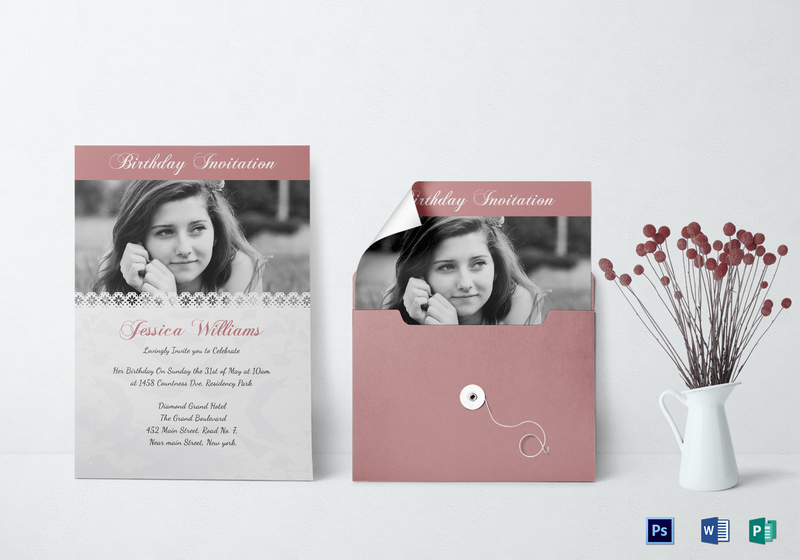 Create eye catching titles with fully customizable layouts and standard fonts. Open high quality photos in 300 dpi resolution and CMYK Color Space print standard. Edit with Illustrator, MS Word, Photoshop, or Publisher and print absolutely anywhere, anytime be it for commercial printing or at the comfort of your own dwelling.